You will restrict the rights of a minority of users that are up to no good and preserve the freedom for the rest. I prefer freedom over lock-in anytime. The GPL asserts absolutely no controls over the rights of end users. It is not a use, but a distribution license. It does affect your rights as a developer if you want to use their code. I think you may be using the word "rights" incorrectly here, to mean "business desires." No, nobody is beiong restricted - you are perfectly free to not use Qt at all. Well said. I can't understand people complaining about Trolltech desisions. Trolltech is free to, to make the decisions they like or think are right, this includes excluding other licences other than GPL. I can't understand people complaining about Trolltech desisions. When Microsoft recently released a license that said in essence "you can't use the GPL", the community was outraged. But when Trolltech says "you must use the GPL" it's okay. I don't see the fundamental difference between the two. I think M$ should release anything they have in any license they wish, if this don't brake the law (or previous licenses), I don't see why so much complaining arround there. I don't like BSD, I think it's bad (don't worry to reply about this, keep reading...), but that just me. I won't even say anything besides this from anyone who wants to use BSD, and I must always enphasis the "I" in the statement. Simply saying BSD is bad/GPL is bad isn't a nice thing, always remember it's just YOUR option and fights will diminish or vanish. >But when Trolltech says "you must use the GPL" it's okay. I don't see the >fundamental difference between the two. The difference is that forcing GPL serves many people, while not allowing GPL serves mainly one big company, in this case M$. "The non-GPL code in KDE that I'm aware of grants a superset of rights (typically X11 or BSD-style licenses), meaning linking to a GPL'ed library is not a problem at all." Is QT Script comparable to VB Script/Visial Basic? Where are the tutorials? I think it's time to learn it. Can I use Kommander and utilize QT script behind the scenes to do useful stuff with databases the way I use VB/Access in the MS world? Sincerly I don't know anything about QT Scripts, but even if right now you can't use them directly in Kommander (can anyone with QT Script experience try it?) I believe it will be quite easy to implement if the only requirement is to pass the scripts to some interpreter to execute. And it will give you a lot of power. Perhaps the primary difference between the two is that you can actually make a dialog with Kommander that does something and has absolutely no code because of our text associations. QT Script will have the advantage of a newer implementation with QT Designer and in this area we could catch up with more developers to support it. Marc has had little time for it lately. These applications are similar. It appears QT Script will be more widely supported and will have extensive capabilities as a scripted development environment. However Kommander will remain simpler with text associations and have advantages in language neutral development, built in DCOP and possibly other areas. What I really hope is that a language specific program without the simple and quick abilities Kommander has does not end up overshadowing it. In my opinion Kommander has a lot of potential for all of KDE. I really hope we get some developers with time to work on it as we have with Quanta. It can extend any KDE app with DCOP pretty easily. Good to see the GPLd Qt get more powerful! One question - is that just a Mac-style skin it's using in those screenshots, or is it actually using native widgets? To keep to the notion of 'code-once-compile-many' Qt doesn't use native widgets on the different platforms. On the MS platform, the style is very simple to emulate, and so you wouldn't notice, but on the Mac it shows. Qt on the Mac does not utilise Cocoa. No, actually, Qt/Mac does use Carbon to draw widgets. It's as native as Carbon is, which being an official Apple API, is pretty damn native. 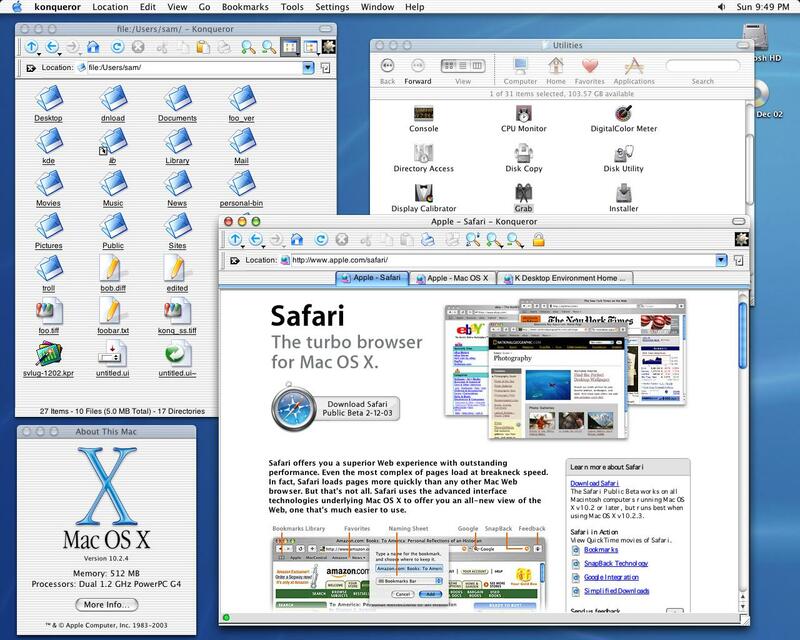 Back before Qt/Mac was released, Apple helped TT with this. Qt/Mac of course doesn't use Cocoa. 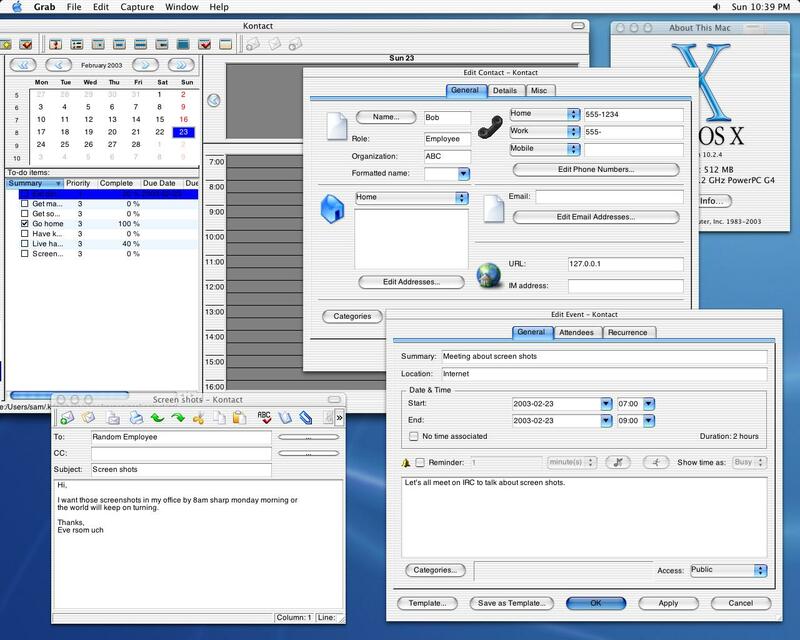 Qt/Windows on WindowsXP also uses natively-drawn widgets. Note that neither is "Native Widgets".. they are, however, "Natively-drawn". Yes, it's just a skin. That is the nature of Qt -- nothing ever maps to a native control -- ever. That makes it all the more difficult for Trolltech to port Qt since it always has to change the appearance of its widgets whenever developers of the operating system change the look of their controls. Once again, it isn't a skin. It usses the apperance manager. It's as native as Carbon or Cocoa. qt is a wonderful toolkit, hearing that it will become free for another platform is wonderful, but i continue hoping a gpl version also for windows. I don't know if trolltech is planning to do this, but it would be a great thing it would present kde and other qt application to the great public. And imagine a kde windows desktop where will be hard to recognize if it is windows or linux, great interoperability and it would be easier to switch. Wouldn't it be nice if TT could LGPL the core part of QT (hopefully on all platforms)? Only the part the KDE libs link against. That would ease the adoption (w.r.t. to the LGPL GTK libs) and they would not loose their business case and could keep all the database / motif / whatever exotic QT-stuff separate GPL/commercial. 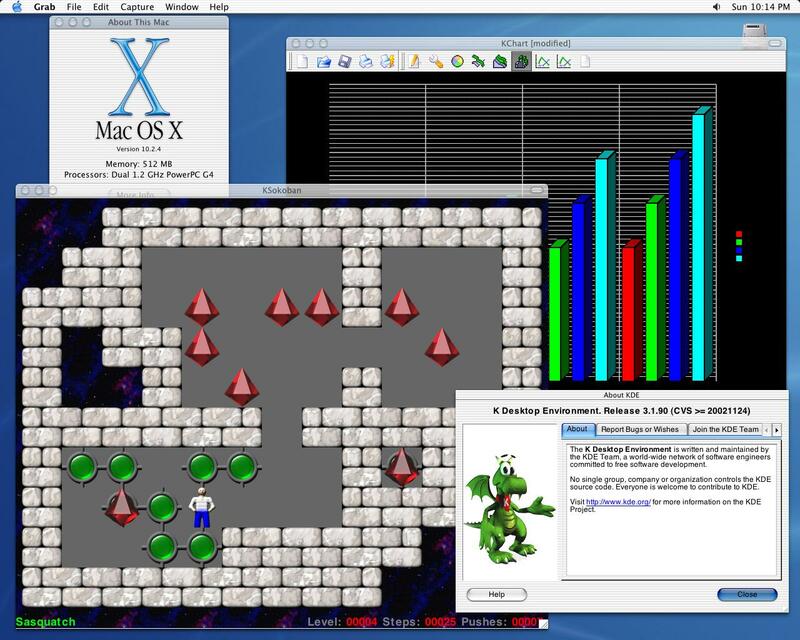 Imagine Kylix for OS X! that's based on Qt. I've spent the last 4 months porting a fair amount (> 15 kloc) of qt code to std c++ on the backend (removing *all* qt, and writing my own classes that map to qt's classes where needed) and rewriting the gui in native cocoa/objective-c.
And now I discover it was completely unnecessary! It probably already works on MacOSX too. Well, I obviously didn't read your comment completely before posting my reply. My bad. What I said still applies to the "backend", though. 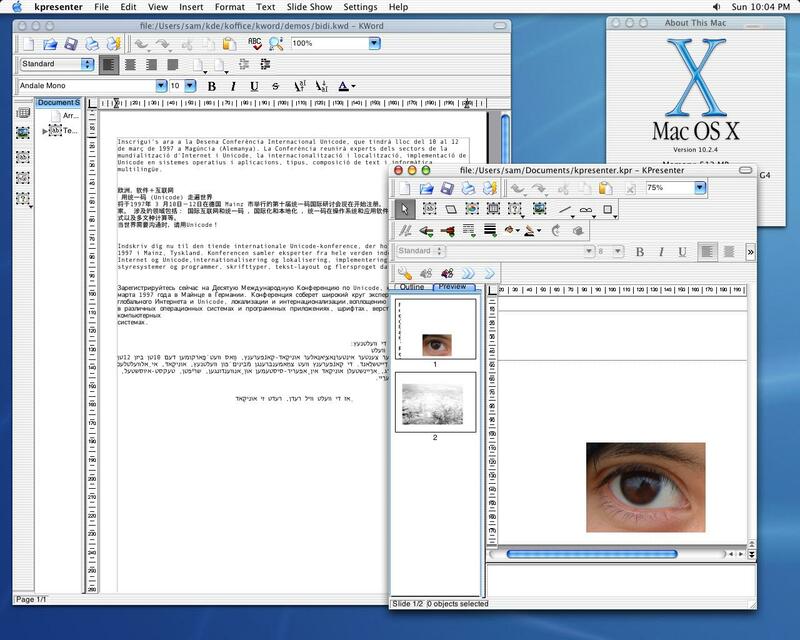 Great, what I want to read next is: "Apple integrates QT into next MacOS X version", that would be wunderfull. I hope Unix/Linux community will profit form the QT-port, too, not only Mac users. With CUPS integration into MacOS X I thougt, now it's easy to shipp MacOS and Linux drivers with all printers, but only MacOS X drivers are shipped. I know this is starting to get pretty off topic, but I was surprised to discover the other day that I could just copy those MacOS X drivers off my mac and on to my Linux box to get it to print to the same printer. This was for a Lexmark Optra L. Your mileage may vary. Sounds good! I don't understand, why the printer manufacturer don't use this for marketing. To create a little RPM for RedHat and SuSE on the CD and a "supporting Linux" to the wrapping shouldn't be a problem. To build a hard shell. To draw them in so deep. Are free of any harm. How do you get through to people? I have moved into a property in Surbiton. The previous resident was Harriet Little, who had 'The Business' newspaper delivered to her. Although I have phoned her several times, and then even wrote to 'The Business' newspaper people, and wrote to Harriet Little - it hasn't made the slightest bit of difference. Harriet Little has moved to: Orchard Close, 1 Oxshott Way, Cobham, Surrey. How do I get through to people? Although it may be a Little waste (as I don't read that sort of rubbish) - maybe I should remember that nothing in Nature is wasted... and so the 'Disappearing Rain Forests' are no longer any concern of mine, or 'Food Mountains' for that matter. Re: How do you get through to people? Possibly overcoming a certain problem? Being born slow and clumsy, to me, the Law of the Jungle, hasn't appeared to allow me to be closely intimate with womankind - even though male peer-pressure (conveniently hidden from women) is trying to force me to think about women - the way women don't want me to. The consolation is that, although being slow and clumsy means that I need to learn physical and emotional Independence - yet still... being slow and clumsy does prevent me qualifying for the forces, when people should ever be called up. Eating Only When Hungry Reduces Libido. If a woman cannot feel safe with any individual man - then she has every right to feel safe from him. I do hope this will help anyone concerned. how do people travel to and from the rainforests? brown, brown, brown, brown, brown, brown...? Will there ever Win32 port of Konqueror? Or is it held hostage by the lack of a Win32 GPL version? Re: Will there ever Win32 port of Konqueror? anyone know of docs on how to build KDE against this version? Get KDE, get the patches, apply them, build? Ah, but where do you get the right pathes from? Click twice on "got much of KDE builing" links and last but not least enter the patches/ directory. Expect problems you may have to solve yourself, but try.